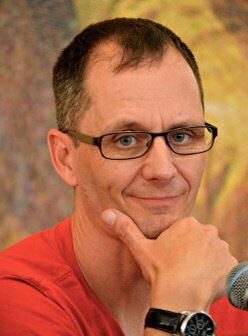 James Carol is the author of the Jefferson Winter series, Broken Dolls, Watch Me and Prey. I can’t praise these books highly enough and I was super excited to read his latest offering for Bookouture. 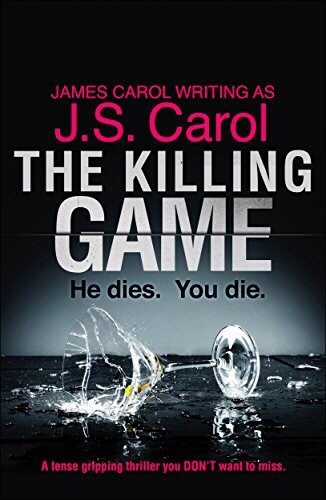 The Killing Game is an adrenaline-filled, heart-pounding roller coaster full of action. From the first to the last page, I was completely and utterly at the mercy of this book. I was turning the pages like they were on fire, it was that good!!! The story focuses on a hostage situation in a restaurant in LA. A man with a bomb strapped to his body has a room filled with influential and important movie industry people and the story is told in a short timeline but it manages to pack a very weighty punch. The reader becomes invested in all of the characters, willing them to cooperate and to stay invisible to the bomber. What follows is a pulse pounding thriller. Who is the bomber? Why is he there? What does he want? These questions ultimately get answered but the journey to these answers is not without peril for all involved. The characters are all so engaging, including those who are reporting from outside the building. Carol has done an excellent job in showing just how ruthless the 24 hour news cycle can be in terms of getting the story. The Killing Game reads like an action movie. It’s a cross between 24 and any Bruce Willis film in the vein of Die Hard or Hostage. I cannot verbalise how much I enjoyed this book. It is a page turning thriller of the highest degree. The tension and the pressure is ramped up from the beginning and it doesn’t let up! Are you ready for The Killing Game? !